A plane made a successful emergency landing in New York after blowing two tires during takeoff at Teterboro Airport in New Jersey, authorities said. Sixteen people were on board the aircraft, according to the Federal Aviation Administration. Rapper Post Malone was among the plane's passengers. The plane, a Gulfstream Aerospace GLF-IV aircraft, was diverted to Stewart International Airport in Orange County, New York, the FAA said. Emergency crews were standing by at the airport to meet the plane, which made a safe landing. Post Malone performs at the Coachella Republic Records Jaegermeister Party on April 17, 2016, in Palm Springs, Calif. Passengers could be seen hugging someone on the ground as they exited the plane Tuesday afternoon. "i landed guys. thank you for your prayers. can't believe how many people wished death on me on this website. f--- you. but not today," Malone tweeted after landing. The FAA confirmed it will investigate the incident in a statement. "A Gulfstream Aerospace G-IV aircraft landed safely at Stewart International Airport in New Windsor, NY, about 3:50 p.m. today. The aircraft was towed to the ramp. Check with local authorities for information about the passengers and crew. The FAA will investigate," the agency said. Stewart airport, where the plane landed, is about 50 miles north of Teterboro Airport. It was originally heading to London's Luton Airport and took off around 10:50 a.m., the FAA said. It has been circling over Connecticut to burn some of the fuel it had ready for the trans-Atlantic flight before attempting the emergency landing. The plane had previously been diverted to Westfield-Barnes Regional Airport in Massachusetts. The type of aircraft is mainly used for private and business flights, ABC-owned station WABC reported. Some of Malone's followers may have "wished death" on him, according to his tweet, but there was at least one follower who wished him well: legendary rock band Aerosmith. 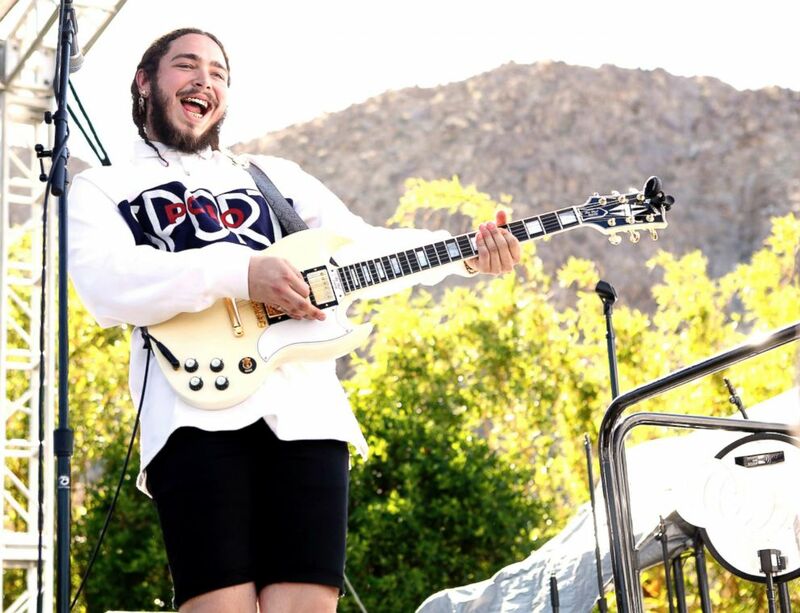 "Happy to hear @PostMalone and crew made it safely on the ground," the band tweeted Tuesday, "keep rockin’ man!" thanks Steven!!!!!! love u so much!!!!! Aerosmith collaborated with Malone on Monday at the 2018 MTV Video Music Awards. The "Bad Boys from Boston" joined Malone for a surprise performance at the end of the night, closing out the show with a roaring rendition of the rapper's hit song "Rockstar," which took the Moonman for Song of the Year. Happy to hear @PostMalone and crew made it safely on the ground! Keep rockin’ man! ???? Aerosmith's front man, Steven Tyler, tweeted an image from the performance early Tuesday morning with the caption "@PostMalone = THE FUTURE OF MUSIC." Malone, 23, tweeted back, about an hour later saying, "thanks Steven!!!!!! love u so much!!!!!"